Mangaluru: A statement of State JD(S) President and former chief minister H D Kumaraswamy alleging involvement of a BJP corporator in Deepak Rao murder case of Katipalla has snowballed into a major controversy. 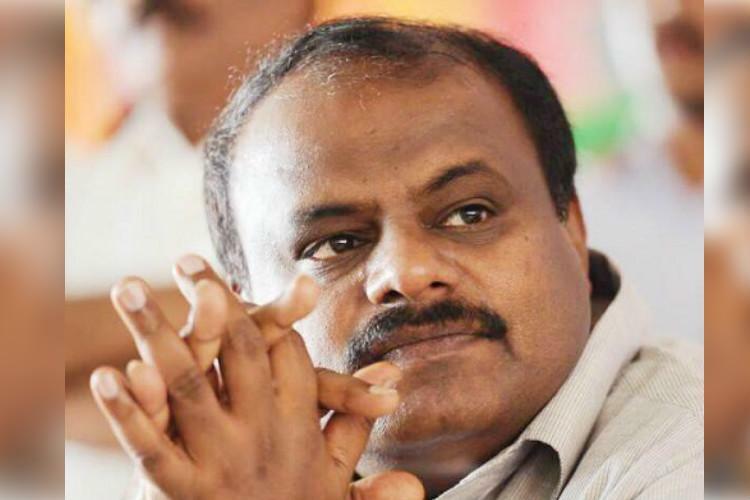 If Kumaraswamy had reportedly made the statement in Mysuru on Monday, later there were reports that the leader had taken a U-turn and that the information he received might have been wrong. Meanwhile, Chief Minister Siddaramaiah who was in Udupi asked Kumaraswamy to furnish evidences if he had any to substantiate his claim. Meanwhile, BJP leaders in Mangaluru demanded that Kumaraswamy and MLA Moidin Bava must be probed. It was also alleged that Kumaraswamy's statement came at the behest of BJP man B M Farooq who happens to be the brother of MLA Moidin Bava. When Vartha Bharathi contacted HD Kumaraswamy amid the raging controversy, this was what he had to say. "I had spoken on the basis of the definite information I received. There is a suspicion of the hands of a BJP corporator behind the murder. I will not backtrack from my statement for any reason, there is no question of a U-turn. TV9 people have some personal issues with me and they are out to finish me and so this U-turn news. I stand by my statement," said Kumaraswamy. "It's been five days since the accused have been arrested. Why is the truth still not out ? What's the secret ?," questioned Kumaraswamy. On CM asking him to furnish evidence, Kumaraswamy questioned why he should do so. "If I am to furnish evidence then why is Siddaramaiah on the CM's chair ? The accused are in the police custody. If they cannot bring out the truth from the, why are they in power?," he reacted sharply. "The truth must come out even in Basheer case. Why and who killed him ?" questioned HDK. On BJP demand that he should be questioned, HDK said "Why should I be investigated ? The BJP and Congress have together wreaked havoc in the coast, then why should I face enquiry?" "Why would B M Farooq provide information to me ? I have served as the CM of this state. I have my own sources of information. The slain Deepak has no criminal background. Why should a young man be killed ? The truth must come out as to who killed him and who instigated his murder," said Kumaraswamy.